Is This The Future For Aldershot Lido? The Aldershot Civic Society is interested to see new plans have been suggested for the Lido and Pools Complex, with the council listening to suggestions by the Aldershot Civic Society and the findings of our Lido Questionnaire last year. 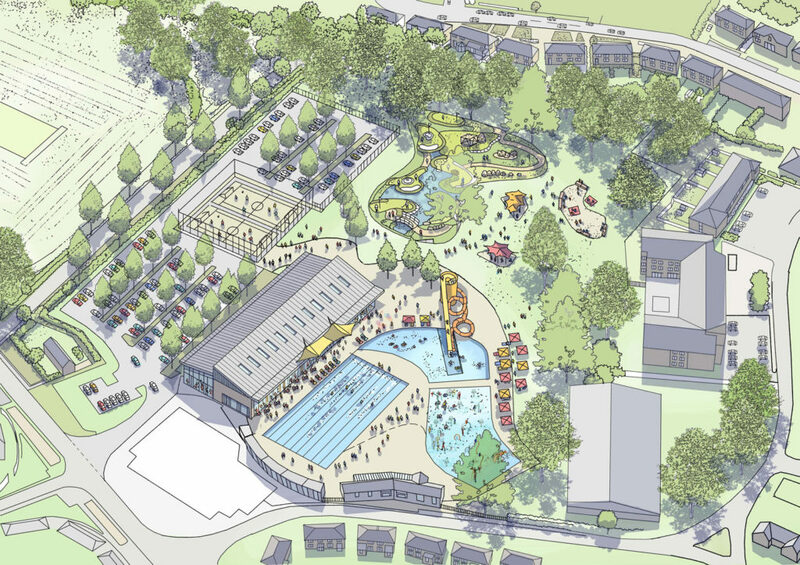 The new plans suggest a complete rebuild of the whole complex, and a much needed full integration of the indoor and outdoor pools, allowing facilities to be shared, and for the much needed and asked for cafe facility for the lido. The splash pads are back with the outdoor golf, but without the controversy of being at the expense of the outdoor pool which is now rectangular with heating! The aim is to allow the facility to open for a much longer season, making it much more cost effective for the council in these times of austerity.